I had thought that the Plantagenet family from last year’s Dramaworks’ production of Lion in Winter took the prize as the quintessential dysfunctional family. Move over, My Old Lady has come to town with two adult children tormented by the past and Mommy (the Old Lady) and Daddy (the recently deceased Max) are to blame. As the saying goes, you are only as sick as your secrets and it would take a Jacques Cousteau diving bell to plumb the depths of the ones in this play. But this production comes with a bonus: it features the reigning royalty of theatre with six decades of experience on the stage, Estelle Parsons. My Old Lady is a very dark comedy, a slice of life that borders on Ibsenesque realism with some Woody Allen thrown in. It certainly has all the elements of dramatic tension, but they are not slam dunk moments, and with much of the action (the secrets) having already taken place in the past it requires the actors to give their all to bring the play to life. The entire first act consists of expository vignettes to set the stage for the more dramatic-packed second act. Perhaps if all playwrights had an opportunity to constantly revisit their plays, they too would change elements as Israel Horovitz has done with the new Dramaworks production. He’s close to the play having recently directed a film version which has led him to readdress aspects of the stage version as well (he perceives the Dramaworks’ version as being “slimmer and sleeker”). Having never seen the play, neither when it opened in 2002, nor any subsequent productions, and having purposely stayed away from the film before seeing the Dramaworks production, it was tabula rasa for me. However, earlier this year I saw Horovitz interviewed on the Dramaworks stage, an impressive, prolific playwright with an engaging personality. The afternoon before the evening’s first preview performance, we attended Dramaworks’ version of lunch and learn where everyone was in attendance, the actors Estelle Parsons, Angelica Page and Tim Altmeyer, the director William Hayes, and the playwright himself, Israel Horovitz. The actors and the playwright have been involved with the Actors Studio for years, so there was a playful give and take in the lively discussion, with many anecdotes about them working together in the past. Ms. Parsons said she wanted to do the play because it was set in another culture and that she was particularly drawn to the subject matter – “the terrible affect of duplicity and deception in marriage having an impact on the children” as she put it. Horovitz is the most produced American playwright in France and he said that is a partial reason why he wanted to write a play set there-- as homage to the French for widely accepting his works. Estelle Parsons and Angelica Page have worked together three times before – each time Ms. 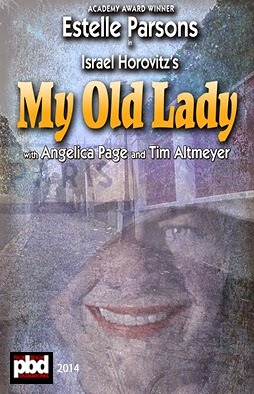 Page playing her daughter (most recently in the touring production of August: Osage County) and Tim Altmeyer previously worked with Ms. Parsons in a Horton Foote play. William Hayes, the director (and Producing Artistic Director of Dramaworks) related that the version we were about to see had been changed (again) by Horovitz and will become the basis for a new printed edition of the play. 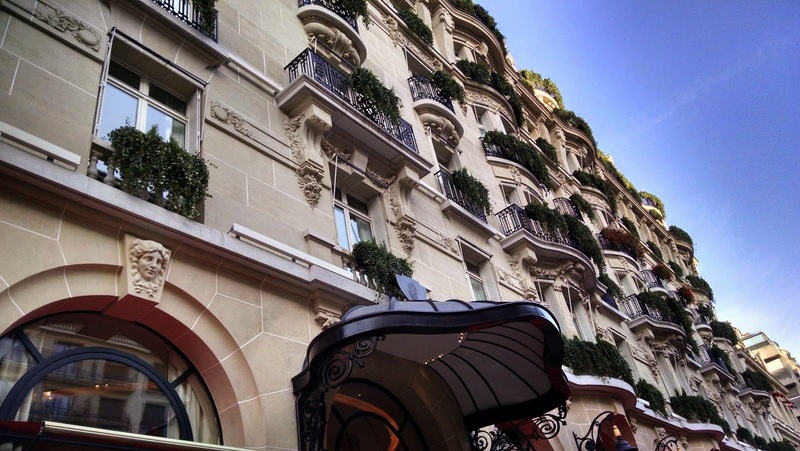 Mathias believes the apartment will be the ticket to bail him out of a life of divorces and unpublished novels (three each!) and debt. He plans to sell it at once but after making the trip to France spending his last remaining funds on his airline ticket and with only a knapsack of his worldly belongings, he finds out there are those strings attached: the previous owner, Mathilde Girard, who sold the apartment to Mathias’ father, has a life-long lease to occupy the apartment and, to make matters worse for Mathias, not only is he now penniless, with not even airfare back home, but he is responsible for the expenses of the apartment, and can’t sell it until Mathilde dies. Although 92 years old, she’s feisty enough to live another decade. Complicating the plot is Mathilde’s daughter Chloe, an unmarried and unhappy schoolteacher, who vehemently disagrees with her mother’s decision to allow Mathias to live in the apartment. (Mathilde has accepted Mathias’ gold watch, the only other bequest of his father except for a few French books as payment for his obligatory 2,400 Euro monthly obligation.) Now, they’re all roommates! And you have all the elements to turn this play into a character study the cast and director can sink their teeth into. Mathias is an existential mess, a man who has created his own life defining predicament, constantly railing at his father for crippling him. He is certainly not “a force of nature” as Mathilde described his father. And now he is mired in the lives of these two women, one an old bohemian and the other just another dependent still living with her mother. Where are the adult people in this drama other than Mathilde? Are they going to blame their parents (his father and her mother) for their misfortunes into perpetuity (or at least throughout the play)? In that respect they have a lot in common and it makes the feisty old lady the real hero in the play, one who has lived life on her own terms, not her parents’ or society’s. While the play is riveting at times, it can be tedious hearing the retrospective ranting of “the children.” Furthermore, to pull off some kind of satisfactory denouement is difficult. I know how the first draft of this play ended (very differently which would have left the audience in a black hole). I have no idea about the other versions, but clearly Horovitz was reaching for a more positive conclusion, although to me it felt somewhat contrived. So perhaps in an imperfect play the acting becomes particularly important, with Estelle Parsons anchoring it steadfastly. Her voice alone stands out, all knowing, and in spite of her 92 years (Ms. Parsons is actually in her late 80’s), she is sharp, intelligent, and will not allow “the children” to run fully amuck when she’s on stage. She ambles with a cane from time to time back and forth on stage, but mostly settles in a chair, stage center, and she is indeed the center of the play, the “kids” whirling around her, satellites in her gravitas. Perhaps the most difficult role is Mathias’. He is on stage most of the time. How do you warm up to a loose cannon, a down on his luck, self pitying, sometimes pathetic, immature and self absorbed character with a penchant for the ultimate truth serum, booze. He’s drunk at least half the time on stage. Even though he does indeed wear the scars of his childhood, some very horrific ones, there are times you want to reach out and smack him and say, get over yourself! The equally difficult role of Chloe falls to Angelica Page. Although on stage less than the other two actors, she has to express her more subliminal anger and this comes through her rigid demeanor and facial expressions. Mathias and Chloe are birds of a feather but during the second act they find the enmity they originally felt towards one another was misplaced. Let’s both blame the parents! Page carries her repressed anger to the point of sometimes delivering her lines in a way that the audience has difficulty hearing all the words. In particular there is one brief monologue she utters mostly with her back to the audience upstage looking at the garden outside the apartment’s window. “What did she say?” the audience was left wondering. However, I saw the first preview and many elements are still subject to change until the opening, so perhaps this staging has already been rectified. Overall the production is what one has come to expect from Dramaworks, professional in every respect. 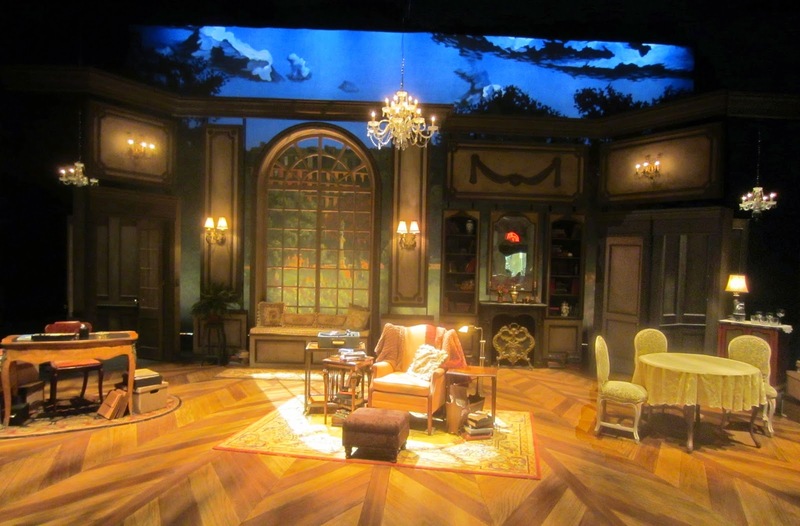 The set design by K. April Soroko, who is making her debut at the theatre company, creates the illusion that it goes beyond the room, a very substantive Parisian apartment, with the romantic feeling of the park in the background thanks to the lighting design by Ron Burns. The sound design by Rick Szczublewski is an important element, providing a kind of French cafe music during interludes, adding to the flavor of the production. Director Bill Hayes moves things along at a lively pace. Not wanting to introduce any spoilers about the ending, I’ll instead paraphrase one of the concluding lines: “Life is just less terrible” (than the alternative). And I found myself thinking of the great Sondheim song from Into the Woods, “Children Will Listen,” certainly the other message dominating the work. All in all, a must see play.